Erie County’s first township – dating back to 1808 – is filled with historic charm. 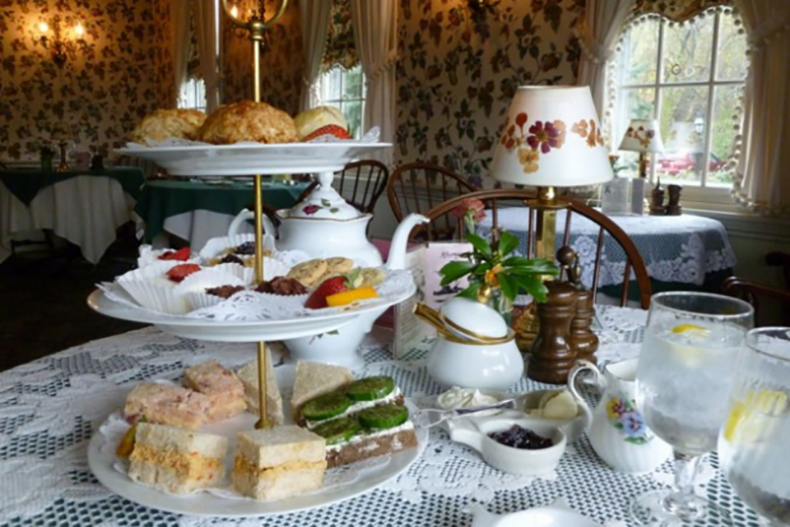 Sip afternoon tea, sup and stay overnight at a 162-year-old inn. Spend a Sunday antiquing. Or hike in nearby Akron. A trip to Clarence will take you back to a simpler time. Long before Interstate 90 shuttled motorists from Albany to Buffalo, New York State Route 5 was a main east-west highway. To drive it from downtown Buffalo eastward is to see the city transition into the suburbs and countryside within an hour’s time. Small town America really takes hold after proceeding east of Transit Road into the town of Clarence. You’ll find the Asa Ransom House, which offers everything from afternoon tea and supper to overnight accommodations in a quaint 1800s inn. There are even ruins of Asa Ransom’s grist mill at the rear of the property. 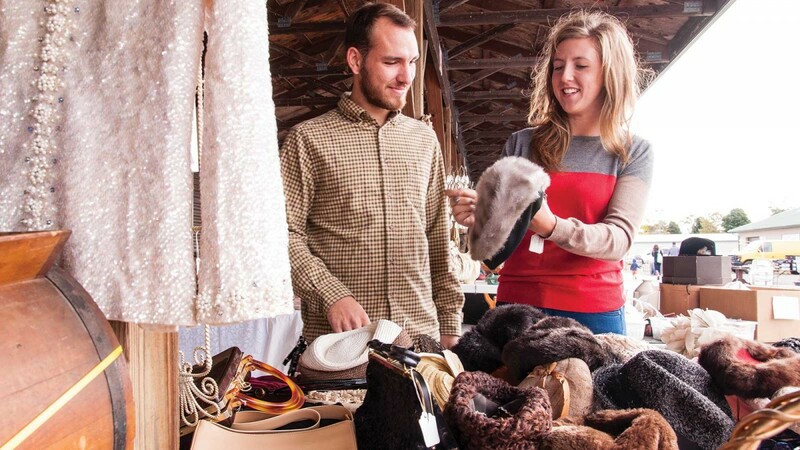 Keep heading out Route 5 for another vintage experience – Sunday morning shopping at Antique World, where you’re sure to discover rare gems and quirky finds. 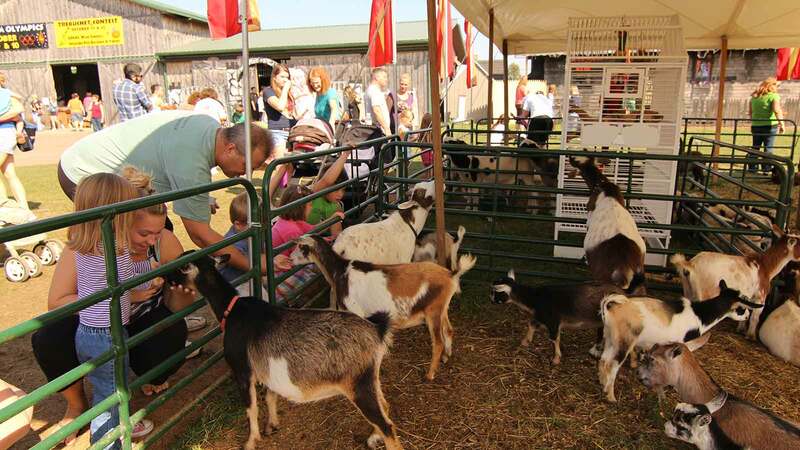 Nearby are the grounds for the Great Pumpkin Farm Fall Festival, a family favorite for its weekend carnivals, cider and ample pumpkin selection each autumn. Proceed into Akron and Corfu for two more classic road trip experiences. Just a short jaunt from Route 5 is Akron Falls County Park, a hidden gem in Erie County with a hiking trail to a waterfall that’s especially spectacular each spring. And a good last stop is Kutter’s Cheese Factory and outlet store, which has been making cheese for over 90 years – nearly 70 of which have been in the same Corfu location. Partaking in a traditional English tea service is truly one of life’s simple pleasures, yet it’s not often found at the ready here in the States. Speaking as a coffee-drinker for most of my adult life, I came to enjoy tea by experiencing it through one of these traditional services years ago at the invitation of my sister. Since then, I have come to find much solace and enjoyment out of a proper afternoon tea. 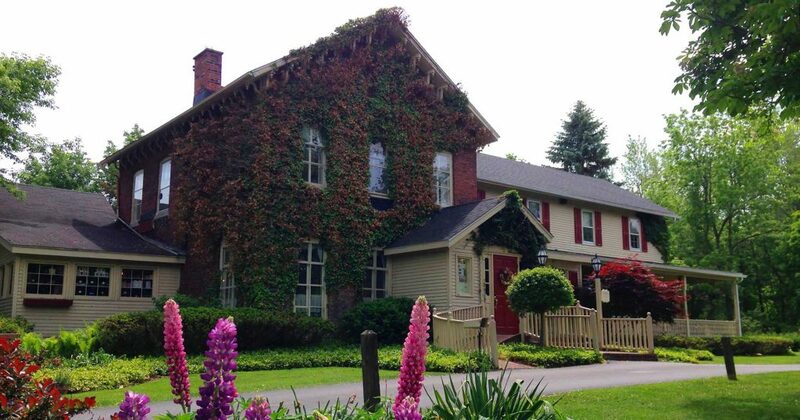 Asa Ransom House in Clarence served up just what the doctor ordered: a warm, cozy environment housed within a historic setting, friendly service, and delectable bites for our afternoon. Situated right in the heart of Main Street in Clarence, this 150-year-old house is charming and inviting. Tea is served in the front room of the house, which is a large room but decorated to make you feel at home with floral print wallpaper, lace linens and a fireplace for cold days. 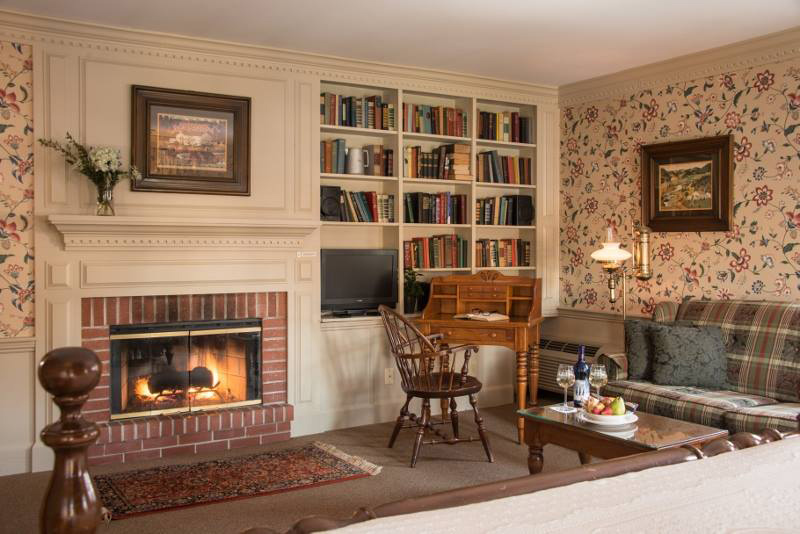 Upstairs is where guests can stay the evening at the Inn for the full experience. 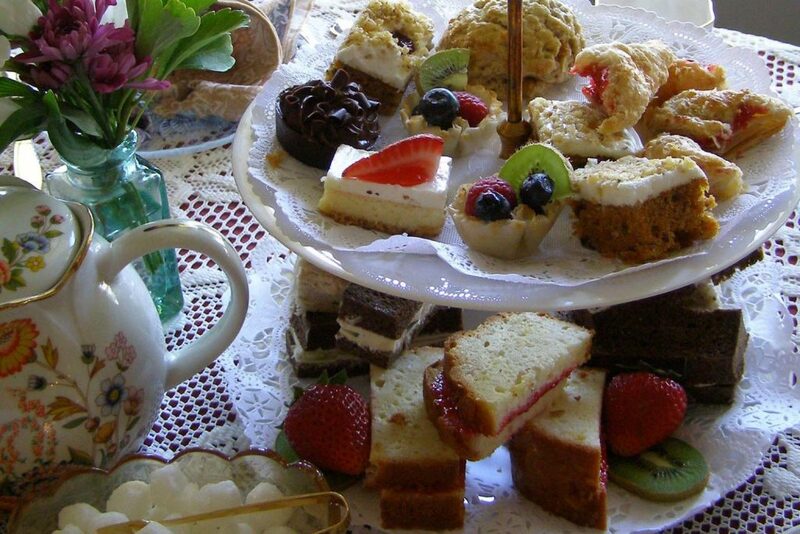 My friend Nina and I enjoyed the “Traditional Afternoon Tea” service (Tuesdays, Thursdays and Saturdays), which included homemade scones with fruit jam and Devonshire cream, finger sandwiches, and an array of dessert bites. We drank pots of loose Earl Gray and Paris teas, which gave us a taste of both traditional and exotic flavors. The “tower of treats”, as I like to call the tiered tray of scones, sandwiches and cakes, is deceivingly filling and every bit as scrumptious as the presentation suggests. It’s worth knowing in advance to block a few hours for the service. Tea is meant to be savored and enjoyed, not rushed. So be sure to give yourself about 1.5-2 hours. For those looking to enjoy a spot of culture, a pampering treat, or just something different to make your afternoon special, Afternoon Tea delights for all ages and palates.